Romitaman Original Comic Book Art :: Private Collection :: Stan Lee's 'How To Draw Comics' Pinup SOLD SOLD SOLD! by artist John Romita Sr.
Click Here To See John Romita Holding This Nice Pinup With Some Random Spider-Man Fan! 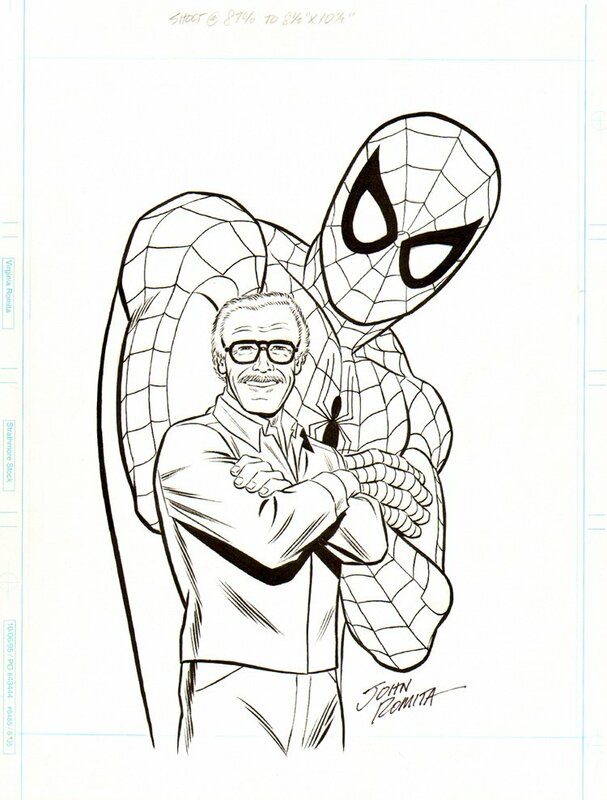 Check out this very nice, very detailed Pinup, which was penciled AND INKED by the great John Romita, featuring The AMAZING Spider-Man standing with arms folded, behind His co-creator...Stan Lee! NO ONE in comics could have drawn this scene better than the Jazzy one himself...John Romita! 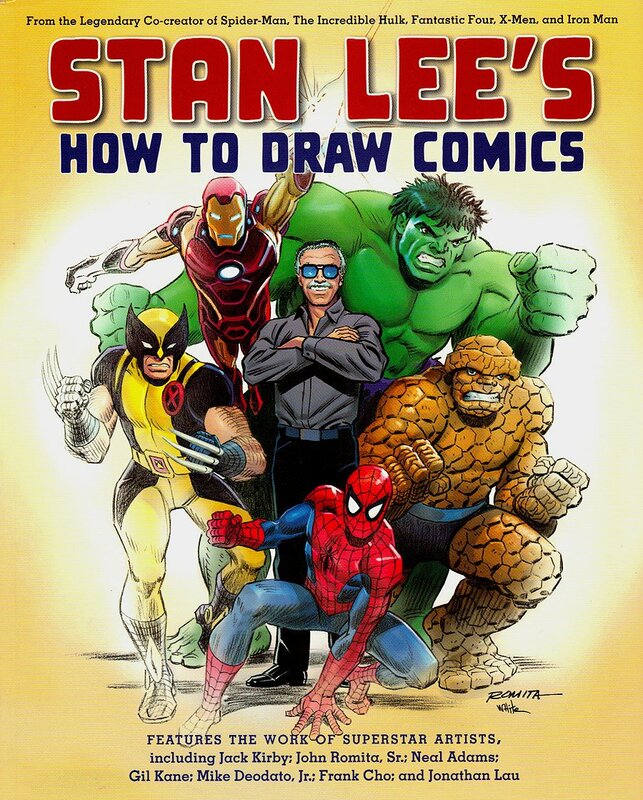 This piece was initially the "FRONT COVER" to "Stan Lee's How To Draw Comics" book, but it was decided that there should be more heroes on the published cover art, so this piece was instead used as an interior pinup for the book. (You can see what the PUBLISHED cover looks like by clicking the red link above!) This art is drawn on an 11 by 14.5 inch Marvel art board. (The image is cover size, but no logo area above the drawing) Art is signed IN THE ART by John Romita! Rarely do PUBLISHED pieces of art featuring Spider-man and his Co-creator EVER SURFACE for public sale, so don't pass up this piece of MARVEL HISTORY right here! ALL HIGH end pieces of art, including this one, are able to be purchased with VERY fair time payment plan options, and trades are always considered towards this and any other pieces of art on my site here! Just send me an email and we can try to work something out.